The Western Edge Biosciences Building 125 is now open. For the first time, the Faculty of Veterinary and Agricultural Science, Faculty of Medicine, Dentistry and Health Sciences, and the Faculty of Science coexist in one cohesive building. Building 125 displays teaching and learning spaces which are implicitly pioneering by design, integrating elements of inter-disciplinary spaces, flexibility in room arrangements, interactive group realms, audio and visually-enhanced teaching and hands-on learning - this world class facility will support the next generation of leaders in the biosciences. Level 2: 128-seat wet lab and 50-seat physiology dry lab. Level 1: 140-seat wet lab and 144-seat dry lab. Ground Floor: 144-seat collaborative learning centre. 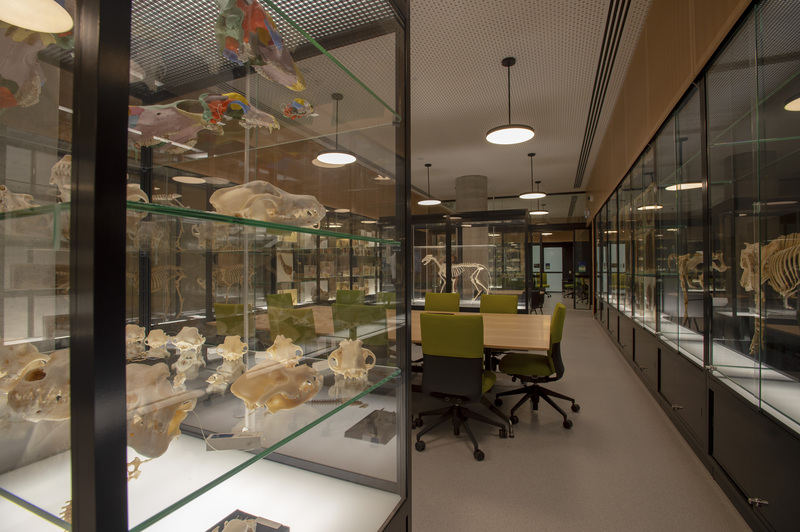 Basement 1: 140-seats and an animal anatomy collection. Basement 2: bicycle end-of-trip facilities, storage and plant. Wet Lab 2 seats 128 and is designed to facilitate biochemistry, molecular biology and pharmacology practicals. The physiology dry lab is designed for practicals and workshops, the mobile tables allows the space to be converted. Immersing students through the study of animal anatomy in a space where the collection can be examined by touch and sight. 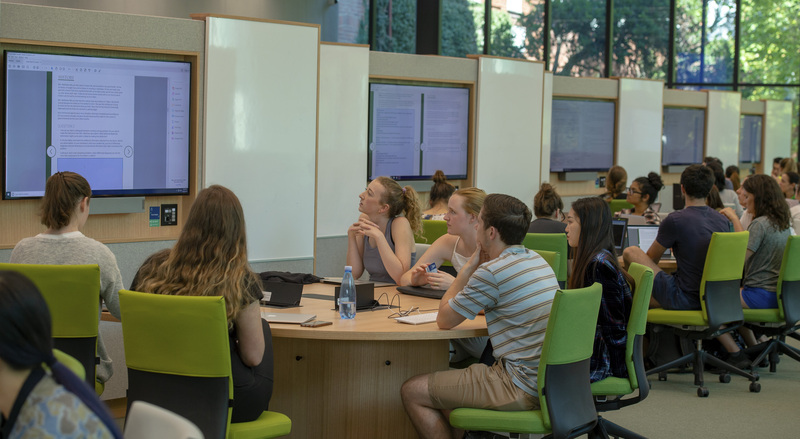 Group learning is encouraged with collaborative spaces seeking to cultivate scientific discussion facilitated by tutors. 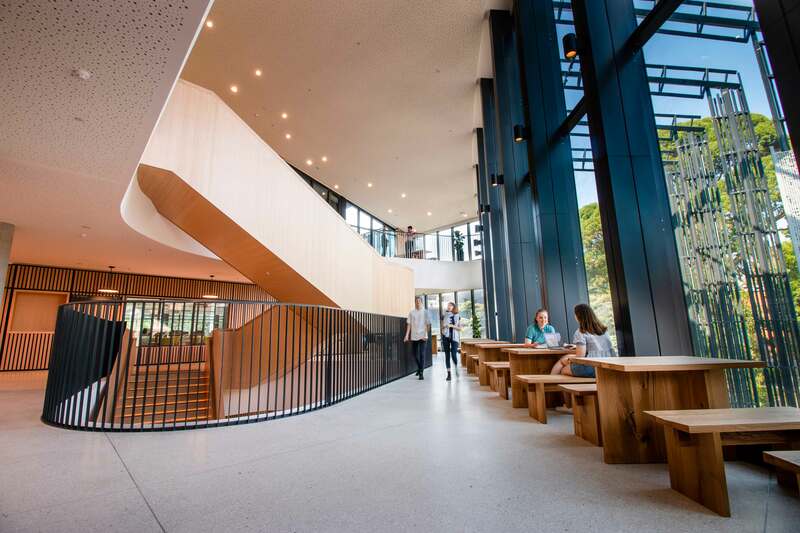 The natured-based design incorporates timber-lined walls and a sweeping timber staircase connecting to informal learning spaces. February 4 – WEBS Parkville (Building 125) open for use.